Welcome to your new Shopping Experience! With your handy Shop By Caravans Feature all you need is to fill in the Make, Range, Model and Year of your caravan and all products for your Caravan will appear! You may find it easier to also use your Shop By Product feature which will show you a product list. Simply choose your product and the shaped products will appear in the next section. We are still updating our website with thousands of products every day so if you can’t find what you are looking for, perhaps try giving Charlotte or Ben a call on 01524 844106 . 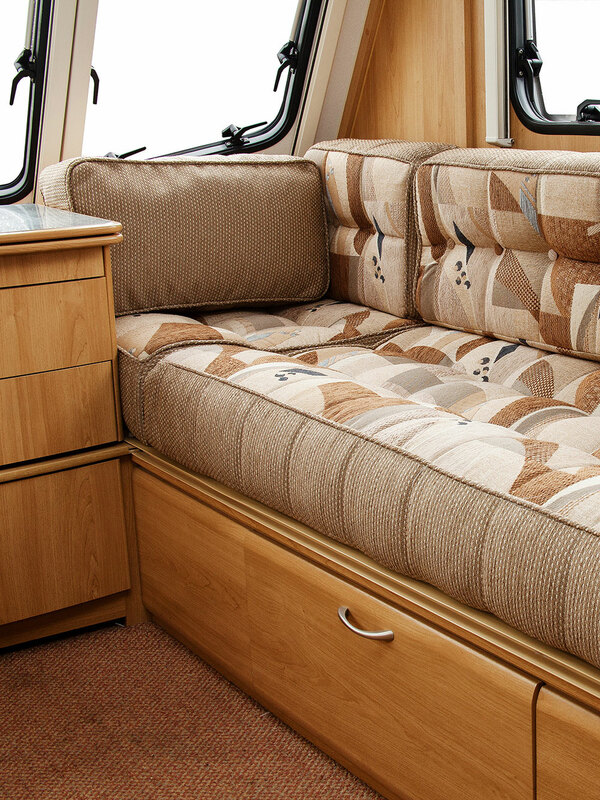 Caravan Bedding for all touring caravans. As the UK’s number one for caravan bedding, we offer first class service whilst providing outstanding products. In the past, finding quality bedding, memory foam and mattresses for touring caravans has been problematic. Standard bedding just didn’t fit and left beds looking untidy. Jonic solved this problem by offering a range of products which are made to fit beds in touring caravans perfectly. We cater for all shapes and sizes including nearside cut offs, offside cut offs, islands, twin beds, front doubles, rear doubles, bunks and any other shape or size. Our revolutionary ‘Snoozy Wrap’ offers the comfort of a sheet and duvet with the ease of a sleeping bag. All our caravan fitted sheets, caravan memory foam, caravan shaped duvets, caravan mattress protectors and mattresses are all made specific to the make and model of your caravan. We have all the sizes enabling you to simply place the order. Can’t find your Model listed? We are still adding hundreds of Models every day, however if you can’t find your model listed why not give us a call on 01524 844106 or send us an email at info@jonic-uk.co.uk and we can help you find the products you are looking for! Feel free to also use our Contact Us Form for any further information.